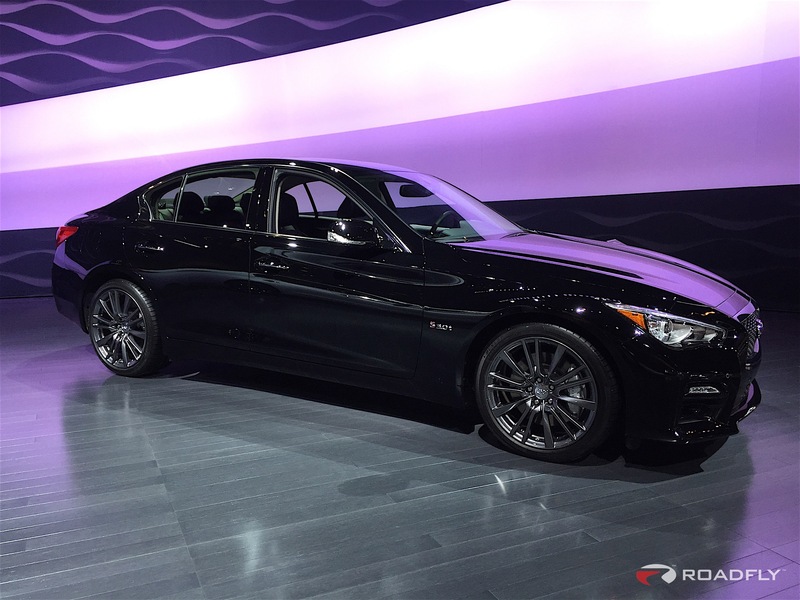 Infiniti revealed the full lineup of new advanced engines for its Infiniti Q50 sports sedan at the 2016 Chicago Auto Show, including 300-horsepower and 400-horsepower versions of the advanced 3.0-liter V6 twin turbo engines and a 2.0-liter 4-cylinder turbo engine. 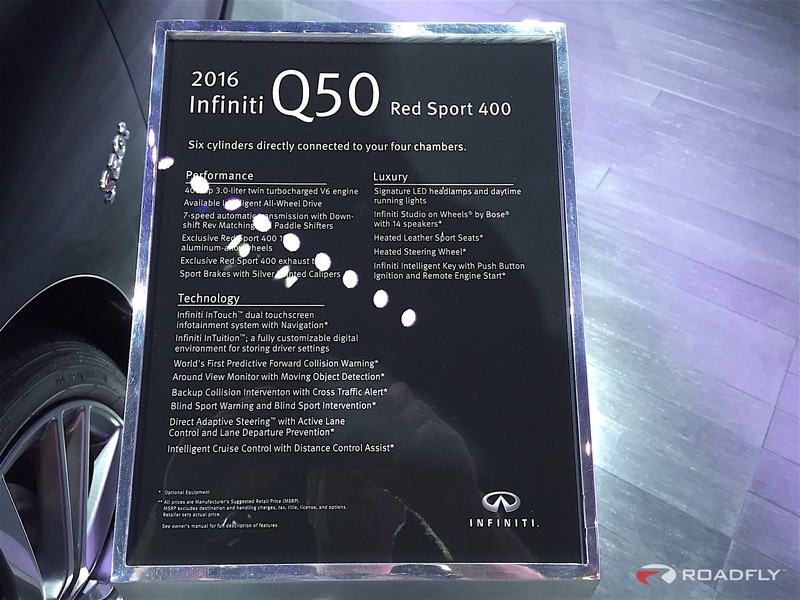 The three new engine-equipped Q50 models – designated the Q50 2.0t, Q50 3.0t and Q50 Red Sport 400 – are on display at the country’s oldest and best-attended auto show. The new compact, lightweight 3.0-liter V6 twin-turbo engine is the most advanced V6 engine that Infiniti has ever offered, striking an ideal balance between drivability, efficiency, and performance. The new VR-series engine will be first available in the Q50 Red Sport 400 beginning in early spring, followed by the 300-horsepower Q50 3.0t in late spring. The third new Q50 powerplant is a 2.0-liter turbo inline 4-cylinder, producing 208 horsepower and 258 lb.-ft. of torque. Offered in conjunction with Daimler and assembled at Infiniti’s engine plant in Decherd, Tennessee, this engine is available in the Q50 2.0t model in both rear-wheel and all-wheel drive and goes on sale later this winter. It will be joined by a fourth Q50 powertrain choice, the Q50 Hybrid with Infiniti’s proven 3.5-liter gasoline-electric hybrid system with a net 360 horsepower. Top-end Models & their apperances areso stunning as well… I find this blog very useful… Thanks for your kind attention to detail!! !